On February 5, 2016, PsPP met with the Honouring Indigenous People (HIP).The Chair of the board, Chris Snyder, and the board member, Tim Thompson, of HIP answered our questions pertaining to their recently established initiative. HIP is created by Rotarians in Southern Ontario in partnership and consultation with a number of Indigenous Peoples. As they indicated on their website — www.rotaryhip.com — the primary mission of this initiative is derived from the Two Row Wampum belt that is a treaty representing friendship, peace and respect between Canadians and Indigenous Peoples. This belt is a tactile representation of how this partnership should be established between two nations. It was understood that each should live side by side, co-exist in mutual respect and harmony: The purple lines symbolize a canoe and a European ship travelling down the river of life together; and the canoe carries the laws, spirituality and way of life for the First Nations or Indigenous Peoples and the ship carries the laws, religion and way of life of the Europeans, the North American settlers. Karihwakeron Tim Thompson is from the bear clan of the Mohawk Nation at Wahta Mohawk Territory. He has served as the education coordinator for the Chiefs of Ontario, worked for the Assembly of First Nations in parliamentary liaison, and with the Ontario Federation of Indian Friendship Centres as their policy director. Prior to returning to the Assembly of First Nations as director of the education, jurisdiction and governance sector, Karihwakeron served as the president and CEO of First Nations Technical Institute, an internationally known First Nations-controlled post-secondary institution. Karihwakeron has been a volunteer representative to the Aboriginal Issues Committee and the Research Advisory Panel of the Canadian Race Relations Foundation, a representative on the Haudenosaunee Education Committee and the Haudenosaunee Environmental Task Force; and has served on the Indigenous Languages Working Group for the World Indigenous Nation Higher Education Consortium. He is past president of the Hiawatha Institute of Indigenous Knowledge, a partnership with Syracuse University in New York state , and chair of the Wahta Mohawk Community Trust. Chris is co-founder and chair of the ECC Group, personal financial advisors in Toronto. He has written a number of books on personal financial planning including, most recently “Be Smart With Your Money”. Chris joined the Rotary Club of Toronto in 1984 and has chaired and served in many of its committees. He has also served on many not-for-profit boards and committees. He currently is Chair of The Canadian Landmine Foundation. He is a recipient of the Paul Harris Fellowship, the Queen’s Diamond Jubilee Medal and the Rotary Service Above Self Award. As a member of The Rotary Club of Toronto, Chris leads groups of Rotarians & Friends to the developing world to build schools and other needed community buildings. Chris helped create the Rotary Club of Toronto’s Aboriginal Service Committee and chaired it in 2011, 2012 and 2013. 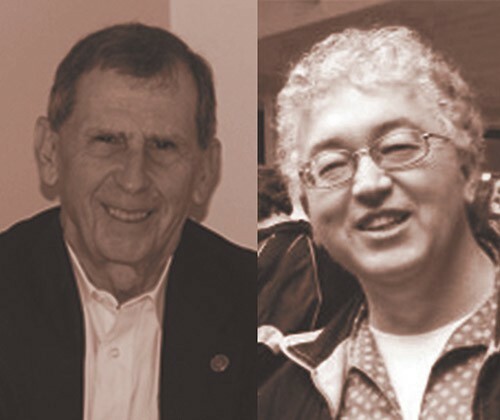 The committee’s main focus is on education and creating partnerships within and outside Rotary. The success of the committee has been seen in its building a partnership with the First Nations School in Toronto, supporting annual Career Days, the school’s lunch program and other needs. The committee has also provided secondary school educational assistance to Native Child and Family Services of Toronto. 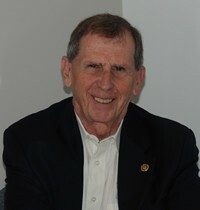 In 2012, the Aboriginal Service Committee created an Advisory Committee of Rotarians and indigenous people including James Bartleman, former lieutenant governor of Ontario. Partly as a result of his efforts, David Onley, former lieutenant Governor of Ontario has hosted meetings at Queen’s Park that encourage indigenous people and groups to work together. PsPP podcasts of interviews with private and public sector leaders, aims to stimulate discussions at the intersection of politics and public policy.